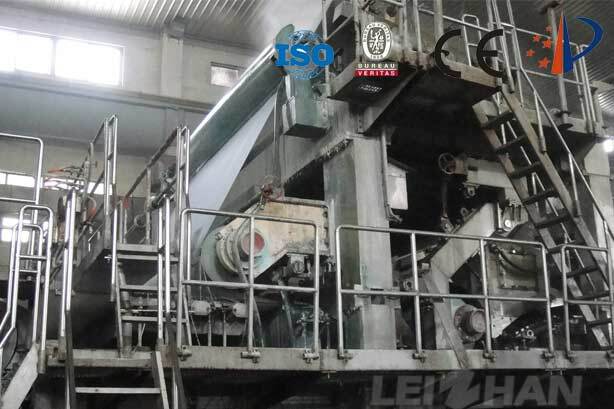 Are you still be troubled by the old culture paper machine, which make the work efficiency lower and lower, and the quality of paper is disappointed, why not think about buy a new and good culture paper machine, our culture paper machine-High-Grade Cultural Paper Machine will satisfy your requirement at most. Our Paper Machine-High-Grade Cultural Paper Machine can be used for making fine paper, carbonless paper, writing and printing paper, A4 paper in paper making line, and the price of High-Grade Cultural Paper Machine can be negotiated. We specialized in many kinds of paper machine making line, including Kraft Line Board Machine, Corrugated Paper Machine, Living Paper Making Machine, Coating Board Paper Machine, and Round Net Yarn Tube Paper Machine, you can buy any kinds of machine you need at our company. The good quality and excellent technology of High-Grade Cultural Paper Machine is on sale, please get in touch with us as early as possible.